CARRY is the only known non-profit organization in the U.S. addressing the skin issues of at-risk and foster youth. CARRY treats a variety of skin diseases in our pro-bono clinics, ranging from acne to harsher conditions such as psoriasis, vitiligo and skin cancer. In a recent retrospective analysis, teenagers that reported dissatisfaction with their appearance demonstrated more emotional disturbance than their peers without skin issues. 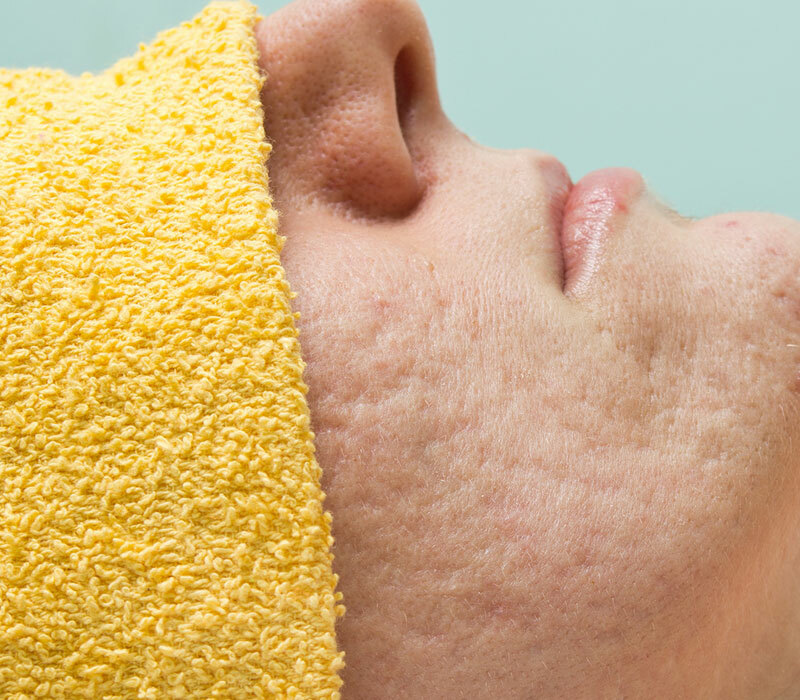 By treating skin diseases, CARRY improves self-esteem. We conduct dermatology clinics in foster group homes and as part of an after-school program for at-risk students. We have collaborated with local non-profit organizations to provide monthly dermatology clinics for their respective populations. CARRY’s dermatology team provides ongoing care at no cost for affected at-risk and for foster youth. All medications are included in the pro-bono services. 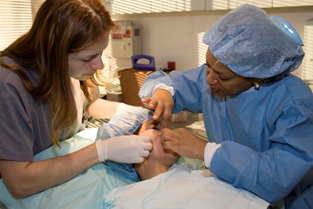 CARRY conducts monthly dermatology clinics for residents of Dreamcatchers and Dangerfield Group Homes for foster youth. In addition, there is a monthly in-office dermatology clinic for students from the Central High Value School, which serves students who are mostly undocumented immigrants living in the Rampart District of Los Angeles. 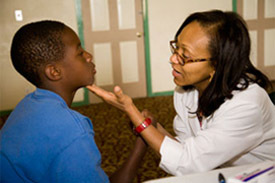 Youth participating in the Esteemed Growth monthly camp are also treated on a monthly basis as needed by Dr. Grimes. Miscellaneous dermatology pro-bono services are also afforded to other at-risk and foster youth as needed in Dr. Grimes’ office. CARRY recently provided dermatology services for more than 20 foster youth participating in the First Star program. CARRY strives to see the children on an on-going basis as we want to aid in promoting self-esteem for the foster youth participating in this program and because they typically do not have access to such services. First Star is a public charity that was founded in 1999 and it is dedicated to improving the lives of child abuse and child neglect victims.